Rabbi Michelle Werner was ordained in 2006 at Hebrew Union College-Jewish Institute for Religion (HUC-JIR) in Cincinnati, Ohio. Her path to HUC and the rabbinate has been international, eventful and, at times, unconventional. Originally from New York, Rabbi Werner studied English literature and received an A.B. with honors from Kenyon College, in Gambier, Ohio and a Masters in English literature from University of California Santa Barbara. She also holds a Graduate Diploma from the University of Otago, Dunedin New Zealand and Masters in Hebrew Letters from HUC-JIR. Prior to attending rabbinical school, Rabbi Werner lived abroad for twenty years, including fifteen in France, as well as New Zealand, and Luxembourg and then did her first year of rabbinical studies in Israel. While in France, she worked at the American University in Paris and at the School of Culinary Arts and Hotel Management. During rabbinical school, she served as a student rabbi in the Jewish community of Quincy, Illinois, as a rabbinic intern at Temple Shalom of Louisville, Kentucky, and as a summer intern at Bet Shalom in Minnetonka, Minnesota. In 2006, Rabbi Werner received the Slonimsky Award in Midrash and the Patti Jacobson Memorial Prize, for the student who exhibited the most significant academic growth. She also received the Stephen N. Levinson Memorial Prize for the student who has rendered the most significant service to HUC-JIR and its student body. 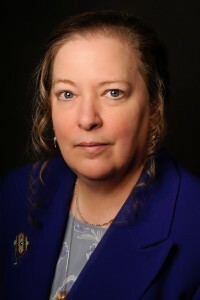 In 2005, Rabbi Werner was awarded the Rabbi Roland B. Gittelsohn Award for most effective educational or social action project in a congregation for her project, “The Maison d’Izieu and its children: Teaching Jewish Children aged 6-14 about children who died in the Holocaust,” and the Gayle Riches Memorial Prize for providing a nurturing presence to the HUC-JIR community. She has been an avid fabric artist throughout her life and has used the metaphor of fabric arts to explain Judaism and her personal theology. She leads services which weave traditional teachings, Jewish spirituality and scholarship to enhance the worship experience. Her rabbinic thesis is titled: “The Tapestry of Text: Examination of the Literary Foil in Rabbinic Treatment of Genesis Stories and Beyond.” Her love of Judaism is centered on an active engagement with the text of our tradition – text in the largest possible sense. Her personal passion is for midrashic literature and for stories as well as modern biblical scholarship. At B’nai Israel Synagogue, she teaches ongoing courses as varied as Introduction to Modern Biblical Scholarship and Mussar. Since ordination, Rabbi Werner has pursued her own professional and spiritual growth by participating as a rabbinic cohort in the Institute for Jewish Spirituality. Rabbi Werner has served the B’nai Israel Synagogue community since July 2006 and also serves as the Jewish Chaplain for the Mayo Clinic as a member of the Chaplain Services Department, providing spiritual support to Jewish patients and their families. In addition, Rabbi Werner has been involved throughout the Rochester community where she is chair of the Rochester Area Interfaith Leaders, an organization she co-founded with colleagues from other faith backgrounds. She also spearheaded the Muslim-Jewish Women’s Dialogue group for which BIS received an Irving J. Fain award from the Religious Action Center of the URJ. She has also served on the board of Channel One Regional Food Bank and on several committees planning the future of Rochester as part of the Destination Medical Center project.